How do I activate my Mint Mobile service? The easiest way to activate your service is to visit mintmobile.com/activate and enter the 11-digit activation number conveniently located on the back of your SIM card. The online process will guide you through the rest of the steps. Keep your 11-digit activation code available until your service has been fully activated. How do I know if I have coverage in my area? Check our coverage map to verify service in your area. Please be aware that outside factors like terrain, building structures, weather, and other conditions may also interfere with the actual service available. How do I insert a SIM Card? Depends on your device’s make and model. Check your phone’s instructions for the location of the SIM card. 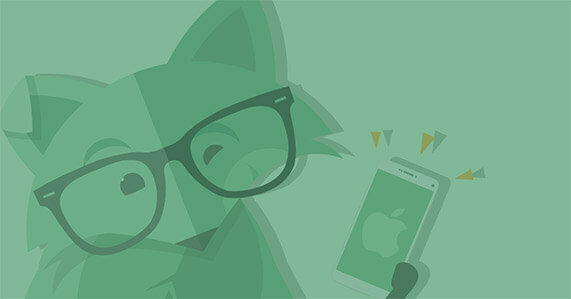 If you need help inserting the SIM, the Mint Fox will talk you through it step-by-step in this instructional video. 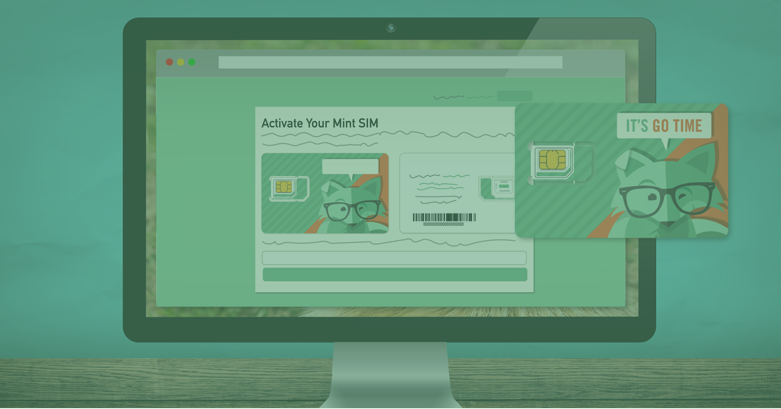 Mint Mobile is a 3-in-1 SIM card that includes standard, micro, and nano sizes to fit your phone. Prepaid wireless service means that you pay for your bill at the beginning of your service instead of getting hit up for money at the end of each month. So the only bill you have to worry about is Bill Shakespeare, and he’s been dead for a pretty long time. 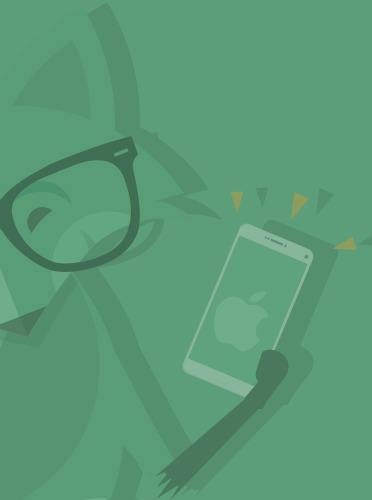 Mint Mobile is a super-handsome prepaid wireless service that saves you money with the lowest monthly talk, text, and data plans of any nationwide carrier. We let you buy prepaid phone service in bulk for bulk savings—the more you buy the more save. You choose the amount of 4G LTE data (3, 8, or 12GB) you need each month, and how many months you want to purchase (3, 6 or 12 months). Why are your prices so low? What’s the catch? There is no catch. It’s bulk, baby! We pass the savings on to you! No, we are digital only—no expensive real estate to maintain or rent to pay. That’s one big reason we can keep our costs down and pass the savings on to you! How do I know if Mint Mobile’s service will work for me? Check the coverage map to verify service in your area. Please be aware that outside factors like terrain, building structures, weather, and other conditions may also interfere with the actual service available. How do I know how much data I need each month? You can see how much you’re using right now! Log into your account on your current carrier’s website and look for the section on how much data you use each month. You can also go into your phone’s settings (Settings > Cellular Data for iPhone, Android Settings Menu > Data Usage > Select Dates for Android). Do a little hunting around and see what you use. Can I bring my own device? If you are still unsure if your phone will work with the Mint Mobile service, visit www.willmyphonework.net. Once there, enter your phone’s brand and model, U.S. for country and, under “Carrier,” choose our partner company, Ultra Mobile. How do I keep track of my monthly usage? What if my payment fails or I forget to renew? If your auto renewal payment fails, we’ll let you know via SMS, email, and hired goon (just kidding on that last one). But you won’t be able to use your service until you make a payment by logging into your account at mintmobile.com/login. If you ever forget your password, just click ‘Send Password’ at login. We will send you a password via SMS. Enter this to access your account. This will be your new password and can be changed at anytime in your account settings. How do I sign up for auto renewal? At checkout and/or activation, you are automatically set up for auto renewal with the credit or debit card you purchased the plan with. How easy is that? You can view, change, or cancel at anytime by logging into your account at mintmobile.com/login. You can also cancel by unchecking the opt in box at checkout or activation. When will my plan auto renew? Patience, grasshopper! Your plan will renew at the end of your current plan. We’ll send you a reminder email before your current plan expires. You can use that heads up to review your plan and make any changes to data or duration, or update your payment details so there are no issues when your renewal is processed. How do I cancel auto renewal payments? You can cancel your auto renewal payments at any time by logging into your account at mintmobile.com/login. Any changes or cancellations must be made 24 hours before your next plan renewal date. How do I know when my data resets? Your 4G LTE data resets every 30 days on the 3- and 6-month plans. For 12-month plans, it alternates every 30th and 31st day (months 1,3,5,7,9,11 – 30th day, months 2,4,6,8,10,12 – 31st day). That’s a lot to keep straight, so we’ll just send you an SMS whenever your monthly data has reset. How do I set up my Mint Mobile account? You can set up your account as part of the activation process. When you login at mintmobile.com/login, you’ll be able to manage your plan, check your balance, purchase data add-ons, and so much more. You will need to activate your SIM to be able to access your account, though. How do I get my Mint Mobile account number? If you need your Mint Mobile account number, please contact our support team at support@mintmobile.com. Who do I contact if there is an error on my bill? If you believe there is an error on your bill or have a question about your service, please call our Mint support team by dialing 611 from your Mint phone or 800-683-7392. You can also reach them via email at support@mintmobile.com. If you are a California resident and not satisfied with the response then please click here for full instructions on how to submit a complaint to the California Public Utilities Commission. What is Mint Mobile’s return policy? All of our 3-, 6- and 12-month plans feature a 7-Day Money Back Guarantee for all purchases made directly from Mint Mobile. Cancel your service for any reason within 7-days of activation and we will refund you the full purchase price and any associated taxes and fees. Shipping is not refundable. Mint Mobile will honor returns for unused SIM cards within 10 days of purchase. It must be returned in its original unopened packaging and the SIM card must not be activated (condition counts—we aren’t called Mint for nothing). For our phone return policy, please contact returns@mintmobile.com. I’m currently locked in a contract with my current provider. Can I buy it now and activate it later? Sure you can! You have up to 45 days from your plan purchase date to activate your SIM card. If you need more time then please contact our support team at support@mintmobile.com or call us at 213-372-7777. Is the 4G LTE data per month or across all the months in my plan? Per month, baby! So stream away—it comes back. For example, if you buy a 12-Month, 12GB Mint plan, you will get 12GB of 4G LTE data (with unlimited data at lower speeds) each month, for the 12 months. Any unused data does not roll over, though. It resets at the end of your data cycle. I just purchased a plan, can I still get the promotional offer? No problem. If you have recently purchased a plan at our full price, contact our support team at support@mintmobile.com or 213-372-7777 and they’ll get you sorted out. How do I switch my plan? For example: If you buy a 12-Month, 12GB Mint plan, you will get 12GB of 4G LTE data (with unlimited data at lower speeds) at a time, for each of the 12 months. Customers wishing to switch to plans with more data may switch either immediately, or at the beginning of their next 30 day cycle, as long as they are switching to a plan with the same amount of months as their current plan. If you wish to upgrade your plan, please visit my.mintmobile.com and use our Manage Plan feature. Customers wishing to switch to a plan with more or less months will be unable to do so until their full multi-month plan cycle has come to an end. Can I get this deal if I purchase a Starter Kit? Yes! After you’ve taken us out for a test drive, you can purchase our promo deal in our free app. But this is a limited time offer so get it before it ends! What is the return process? If you decide that your Mint Mobile plan is not right for you within 7 days of activation, the return process is easy. Simply complete the Request Refund form. You will receive a confirmation email once your refund has been successfully processed. You are not required to physically return the SIM kit. Refunds are processed within 10 business days. When do I get the new data allowances? Will it increase on my next renewal? All our customers will receive the new data buckets on their first monthly data reset after 1/29/2019. You will not need to wait until your next renewal to receive the new data buckets. How much data do I get in my plan? Short answer: So much data. Long answer: All Mint Mobile plans include unlimited data, and you get to choose how much 4G LTE data you need each month—3GB, 8GB or 12GB. When does my plan pricing change to the new price? If your plan is changing in price, you will be charged the new plan amount on your next plan renewal date. You will be able to see the new plans in Account Management starting on 1/29/2019. How do I access my voicemail? iOS devices: Click here for instructions on setting up visual voicemail on your iOS device. Android and other devices: To access your voicemail, press and hold the number 1 on your phone’s keypad, or dial 805-637-7456. To reset your voicemail password, type #PWD# on your keypad and hit “Send.” To record a greeting that doesn’t make you want to cringe, you’re on your own. How do I purchase international call credit? Find more details about our international roaming feature, and check out our discounted call rates to see how much it costs to call the international destination of your choice. How do I recharge my account? In Your Online Account – Just visit the Recharge section of your online account, and you'll be able to recharge your account using a credit card. Over the Phone - Simply call our Customer Care line at 611 from your Mint phone. How do I set up my phone for internet access and picture messaging (MMS)? If you have a compatible Android device, you’ll receive a notification to automatically install your settings. If you are on a non-compatible Android device, you’ll receive a message with manual instructions. Simply follow the steps. Sometimes the good-old-fashioned way is best. 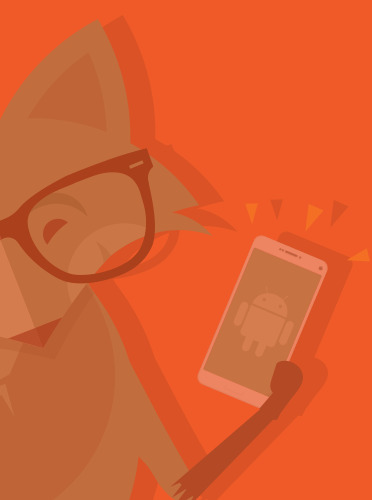 Check out our step-by-step instructions on how to set up your data for Android devices. Is WiFi Calling & Text available on my device? WiFi Calling & Text is available on most iOS and Android devices. This feature allows you to connect to your closest WiFi hotspot to make and receive calls and messages. Check out our list of compatible Android devices to see if you’ve made the cut. What is my Mint Mobile wallet? Unlike the standard canvas-and-velcro variety, the Mint Mobile wallet is a place to digitally store credit for your Mint Mobile service, and it can be used a couple different ways: Purchase Extra 4G LTE If you run out of data before your data reset date, you can purchase more 4G LTE data using credit in your Mint Mobile Wallet. International Calling Use your Mint Mobile wallet to make international calls at low per-minute rates. You can add money to your Mint Mobile wallet by logging into your account at my.mintmobile.com and selecting Load Wallet. Here, you can add $5, $10 or $20 to your wallet. This balance does not expire. How do I get a replacement SIM? There may be times when you need a replacement SIM card. To request one, log into your account at my.mintmobile.com and select Order Replacement SIM. A new SIM will be sent to you in 3-5 business days depending on location. I’m having trouble calling internationally. Log into Your Online Account: This is the easiest way to get information related to your account, and you can access it at any time. Text BALANCE to 6700: You will receive a text message with all account balance information. Call Customer Care: Dial 611 from your Mint phone to ask a Customer Care representative about your account balance. If you find that you have international calling credit, another common cause of problems is an incorrect country code. Make sure that you are dialing 00 or + before the international number that you intend to call. My service is not working, how can I resolve? True story: the most common fix for issues with data connection, text messages and domestic and international calling is simply turning your phone off and then back on. You can also try removing and reinserting your Mint Mobile SIM Card. This essentially re-registers your phone in the mobile network. This is another common way to solve many problems related to data connection, text messages and domestic and international calling. If you continue to experience issues, contact our support team at support@mintmobile.com. Depends on your device’s make and model. Check your phone’s instructions for the location of the SIM card. 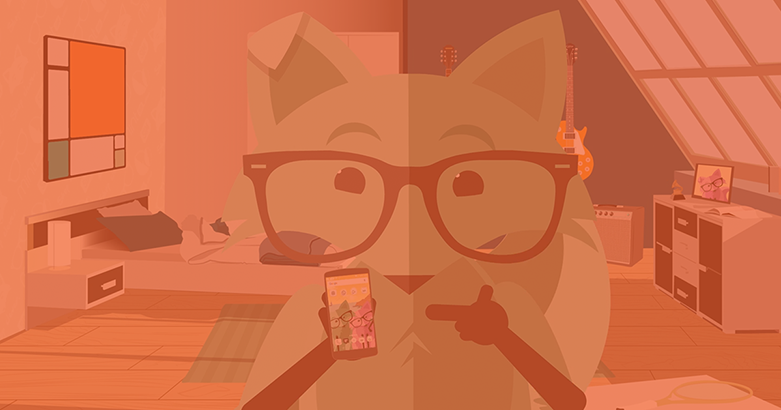 If you need help inserting the SIM, the Mint Fox will talk you through it step-by-step in this instructional video. 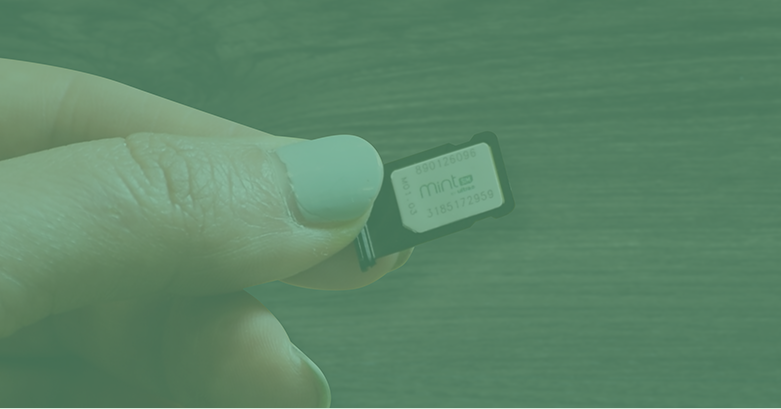 Mint Mobile is a 3-in-1 SIM card that includes standard, micro, and nano sizes to fit your phone. You can see how much you’re using right now! Log into your account on your current carrier’s website and look for the section on how much data you use each month. You can also go into your phone’s settings (Settings > Cellular Data for iPhone, Android Settings Menu > Data Usage > Select Dates for Android). Do a little hunting around and see what you use. Does a fox sleep in the woods? With our Bring Your Own Phone (BYOP) program, you can easily get Mint Mobile service on your current device. Just switch out the SIM card and presto! Can I get a new phone number with Mint Mobile? Yes, you can request a new number during the SIM card activation process. You will need to enter your zip code and choose the option, “Get a new number.” A new number will auto generate based on the zip code and availability in your particular area code. Any resemblance your new number bears to the geographical coordinates of the Lost City of Atlantis is purely coincidental. Should I cancel my existing service before I transfer (port) my phone number? No! Your service must be active with your original carrier in order for them to release your number. Otherwise you could create a rupture in the space-time continuum and everyone will suddenly be walking around in platform shoes and polyester jumpsuits. I’ve ordered, when will my SIM be delivered? We offer different shipping options depending on how urgently you need your new phone service. Any orders placed after 2pm CT will be processed and shipped the following business day. Once your order has been shipped we will send you a tracking number, which you can monitor obsessively at www.usps.com. Unfortunately, we do not process and ship orders on Saturday, Sunday or public holidays. Even foxes need a rest sometimes. Sheesh! How do I transfer (port) my phone number to Mint Mobile? Your account number from your former carrier. Your account number can be found on your billing statement, or acquired by contacting your provider’s customer service department. The corresponding password, pass code or PIN code number. The zip code associated with the account. There is no fee associated with transferring your number. Please remember that your phone number transfer can take up to 48 hours to complete. 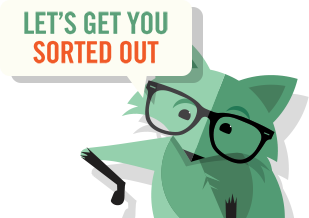 If you have any questions regarding your port, email support@mintmobile.com. Once the number has been successfully transferred, we will we send you an SMS and confirmation email. You can do it with a stopwatch and a calculator, but the last guy who tried that went kind of nuts. The easiest way to keep track of your monthly usage of data, minutes, and messaging is by logging in to your account at mintmobile.com/login. Your 4G LTE data resets every 30 days on the 3- and 6-month plans. For 12-month plans, it alternates every 30th and 31st day (months 1,3,5,7,9,11 – 30th day, months 2,4,6,8,10,12 – 31st day). That’s a lot to keep straight, so we’ll just send you an SMS whenever your monthly data has reset. If you believe there is an error on your bill or have a question about your service, please call our Mint support team by dialing 611 from your Mint phone or 800-683-7392. You can also reach them via email at support@mintmobile.com. If you are a California resident and not satisfied with the response then please click here for full instructions on how to submit a complaint to the California Public Utilities Commission. All of our 3-, 6- and 12-month plans feature a 7-Day Money Back Guarantee for all purchases made directly from Mint Mobile. Cancel your service for any reason within 7-days of activation and we will refund you the full purchase price and any associated taxes and fees. Shipping is not refundable. Mint Mobile will honor returns for unused SIM cards within 10 days of purchase. It must be returned in its original unopened packaging and the SIM card must not be activated (condition counts—we aren’t called Mint for nothing). For our phone return policy, please contact returns@mintmobile.com. Per month, baby! So stream away—it comes back. For example, if you buy a 12-Month, 12GB Mint plan, you will get 12GB of 4G LTE data (with unlimited data at lower speeds) each month, for the 12 months. Any unused data does not roll over, though. It resets at the end of your data cycle. For example: If you buy a 12-Month, 12GB Mint plan, you will get 12GB of 4G LTE data (with unlimited data at lower speeds) at a time, for each of the 12 months. Customers wishing to switch to plans with more data may switch either immediately, or at the beginning of their next 30 day cycle, as long as they are switching to a plan with the same amount of months as their current plan. If you wish to upgrade your plan, please visit my.mintmobile.com and use our Manage Plan feature. Customers wishing to switch to a plan with more or less months will be unable to do so until their full multi-month plan cycle has come to an end. Short answer: So much data. Long answer: All Mint Mobile plans include unlimited data, and you get to choose how much 4G LTE data you need each month—3GB, 8GB or 12GB. I’ve finished my 4G LTE data before the end of my cycle, can I buy more? Message UPDATE to 6700 and follow the instructions. You will need to have money in your Mint Mobile wallet to make this purchase. I need more 4G LTE data each month, can I change my plan? Yes! You you can upgrade your 4G LTE data size mid-cycle by paying the difference between your current plan and the upgraded plan. You are also able to set the change to occur when your current plan ends. You cannot switch down data, though. When can I change the length of my plan? Change can be hard. For instance, you can’t change the duration of your current plan once it has started. You can, however, set up a new duration to automatically renew at the end of your current plan by logging into your account at mintmobile.com/login. I purchased a 3-month plan at an introductory price. What will the cost of my plan be when I renew? We’ve given new customers our best value pricing – our 12 month price – on our 3 month plans. After you’ve tried our service and know what data plan is right for you, then you can choose your plan length based on how clever you want to get. Mint Tip: You can lock in our introductory 3-month pricing by renewing for 12 months. Log into your account at mintmobile.com/login anytime to view our available plans and pricing. What are the fees and taxes associated with my Mint Mobile plan? 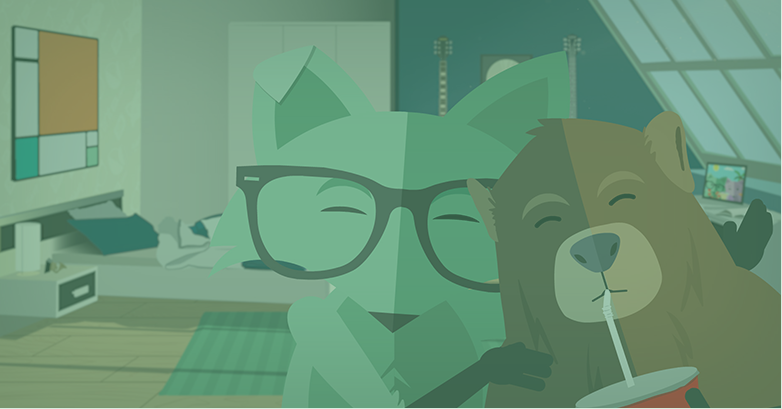 At Mint, we don’t hide our fees in our plans—we break them out so you know exactly what you are paying. Subtotal: Cost of the plan chosen. Regulatory Recovery Fee: The Regulatory Recovery Fee is assessed to help recover Mint Mobile’s administrative costs to comply with various federal and state programs. Please refer to our Terms and Conditions for additional details. Telecom Tax: This includes any federal, state, county, city, or district taxes that are applicable to the retail sale of prepaid wireless communications services in your zip code. Shipping & Handling: Depends on shipping option chosen at checkout. CA MTS Surcharge: Between 1/1/2016 and 12/31/2018, the Prepaid Mobile Telephony Services (MTS) Surcharge was collected from California-based consumers on the purchase of prepaid wireless service. It included a combination of certain taxes, fees, and other surcharges, as mandated by the state of California. Effective 1/1/2019, it is no longer applicable. Please click here for more info on the replacement of the Prepaid MTS Surcharge. What happens when I port my number out. Do you block my phone? If the phone is still locked, it will not be able to be used on competitors services. If unlocked, it can be used on any service for which it has the appropriate hardware (eg. some devices are GSM or CDMA only). If I want to use my own phone, how do I know if it is unlocked? If your phone is GSM and accepts a SIM card, you may try to borrow a friends SIM card on another network and insert it into your current phone to see if it will make a phone call. If you do not have a SIM card to test, you may visit a local retailer to help determine if your phone is unlocked. Once you have determined that your phone is unlocked, you will only need to purchase a SIM card and airtime to begin using our service once you have programmed it. What will my price be after my 3 months for $20? After your promo plan is up you can still get an awesome deal by signing onto a full plan for 3-,6- or 12-months. Mint Tip: lock in our best monthly rate by renewing for 12 months starting at $15 per month! Check our plans at www.mintmobile.com/plans/. Is the 3 Month 8GB plan the only plan on promotion? Yep, the 3 Month 8GB is the only plan discounted for this promotion, but hey it’s an awesome deal for only $20! Can I purchase more than one plan at a time? Yes! Purchase up to 4 rate plans per order. Give it your friends and family – share the best deal of the year! I’m an existing customer, can I purchase this promotion and add to my Mint account? Unfortunately no, this deal is for new activations only. How do I know if my increased data per month has been applied to my account? There are a number of ways. You can check by messaging DATA to 6700, check in Account Management, or download our free app. We’ll also send you an SMS on your monthly data reset. Click here for instructions on setting up visual voicemail on your iOS device. To access your voicemail, press and hold the number 1 on your phone’s keypad, or dial 805-637-7456. To reset your voicemail password, type #PWD# on your keypad and hit “Send.” To record a greeting that doesn’t make you want to cringe, you’re on your own. To purchase international call credit, you’ll first need to add money to your Mint Mobile wallet. You can do this by logging into your account at mintmobile.com/login or by calling Customer Care at 611 from your Mint phone. In Your Online Account – Just visit the Recharge section of your online account, and you’ll be able to recharge your account using a credit card. Over the Phone – Simply call our Customer Care line at 611 from your Mint phone. If you are struggling to send a picture message or access the internet on your phone, you’ll need to update your settings. Your device is likely eligible for automatic internet and MMS setup. Click here to learn more. If you run out of data before your data reset date, you can purchase more 4G LTE data using credit in your Mint Mobile Wallet. Use your Mint Mobile wallet to make international calls at low per-minute rates. You can add money to your Mint Mobile wallet by logging into your account at my.mintmobile.com and selecting Load Wallet. Here, you can add $5, $10 or $20 to your wallet. This balance does not expire. There may be times when you need a replacement SIM card. To request one, log into your account at my.mintmobile.com and select Order Replacement SIM. A new SIM will be sent to you in 3-5 business days depending on location. True story: the most common fix for issues with data connection, text messages and domestic and international calling is simply turning your phone off and then back on. You can also try removing and reinserting your Mint Mobile SIM Card. This essentially re-registers your phone in the mobile network. This is another common way to solve many problems related to data connection, text messages and domestic and international calling. If you continue to experience issues, contact our support team at support@mintmobile.com. Want to learn more about Mint? 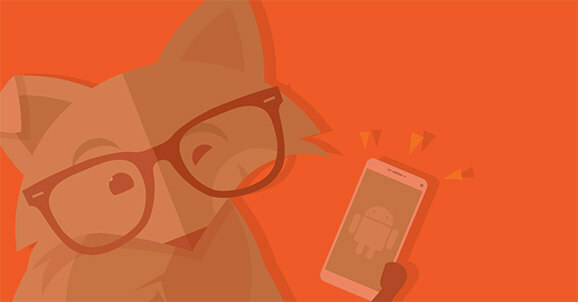 Sign up for our foxing newsletter!